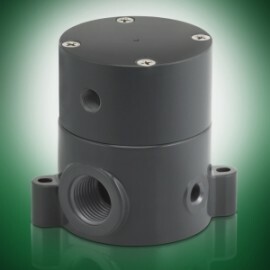 Air Operated Shut Off Valves – Plast-O-Matic Valves, Inc.
Series BSDA/BSDAM Compact, PTFE diaphragm valves in a complete range of materials, sizes and connection types, featuring no wetted metals or elastomers. Includes patented Fail-Dry early warning vent. The ultimate in high-purity on/off control. 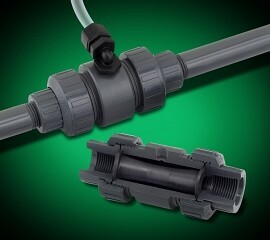 Series BSR/BSRM Compact globe-style shut off valves in PVC or Polypro with elastomer seals. Wide range of sizes and connection types. Normally closed operation; ideal alternative to fail safe air-operated ball valves. 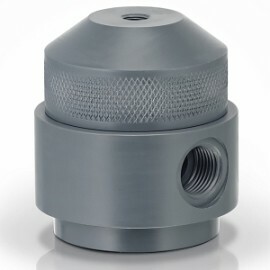 Series HSA Air-operated pinch valve designed for corrosive slurries; long-life EPDMh2 sleeve with a variety of pipe sizes and connection materials.